Ask a frequent polar traveler and they’re sure to tell you: each trip to the Arctic or Antarctica is an entirely new and unique experience. In these wildly diverse and remote regions, experiences are shaped by stunning land and icescapes, the activities in which you participate, and most often, by interactions with the animals and marine mammals who live at these extremes of the earth. On most polar expeditions, traffic is the least of your worries. But, if you do get stuck at a crossing in Antarctica, it’ll be an experience of a lifetime. More than 30 million penguins are scattered across Antarctica, and the Falkland Islands (Islas Malvinas) and South Georgia are also a fantastic place to view king, rockhopper, gentoo and/or Magellanic penguins in action. November and December are the best times to see penguins in Antarctica, as they’re super active and often have new chicks. 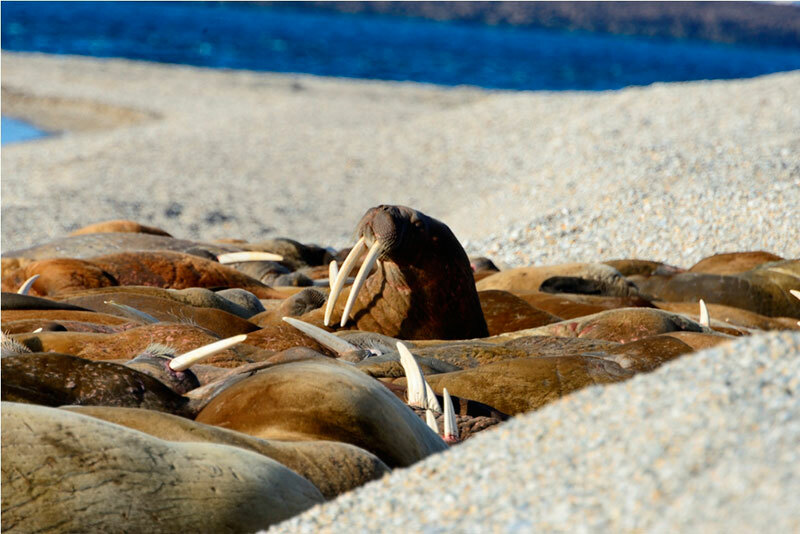 Torellneset, a headland at the southwestern side of Nordaustlandet, Svalbard, is a fantastic place to catch massive male walruses hauling themselves out on the beach. These incredible creatures with gleaming tusks can grow up to 3.7 meters (12 ft) in length and tip the scales at an astonishing 1,361 kilos (3,000 lbs). This is an experience you’ll want to photograph and view from a safe distance. 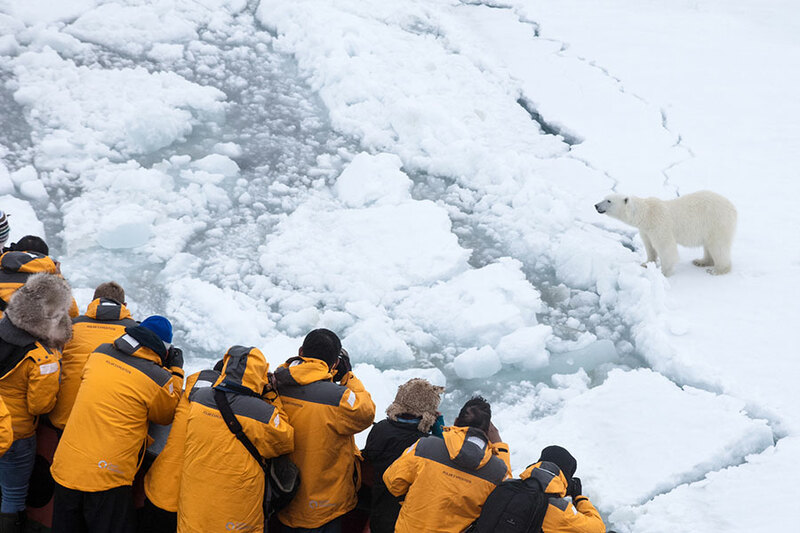 Spotting a polar bear is definitely one of the more brag-worthy arctic experiences. These elusive carnivores have a fearful reputation, but are amazing to view from a distance. While we can’t guarantee you’ll see specific wildlife, you’re almost sure to spot a polar bear in Spitsbergen. Hornsund is one of their favorite hunting areas on the island, and the spectacular bird cliffs of Alkefjellet are packed with tempting polar bear treats. If you thought polar bears were the largest carnivore on earth, you might be surprised to learn there’s one slightly larger: the southern elephant seal. In South Georgia, these giants come ashore in the summer and can lay on the beach for up to 3 months - living on their fat stores - without having to return to the ocean to hunt. 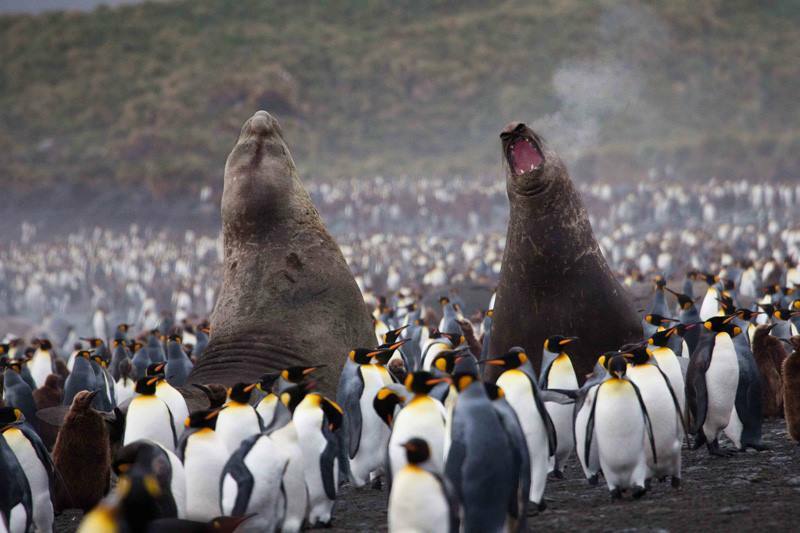 Against the majestic backdrop of mountains, you’ll be blown away by the incredible roars of the male seals. Just a few dozen yards from your Zodiac, there’s a disturbance in the water. You see a dark shape pass by, then seconds later, just ahead as though it’s taking the stage for a private audience, a massive minke whale breaches the surface of the icy Antarctic waters, seeming to freeze midair before crashing back down. He disappears with a graceful wave of his tail. Visit Antarctica mid- to late-season for the best whale watching opportunities. Crossing the Northwest Passage by plane from Arctic Watch Wilderness Lodge enroute to Beechey Island, keep your eyes open for the unicorns of the sea: narwhal. 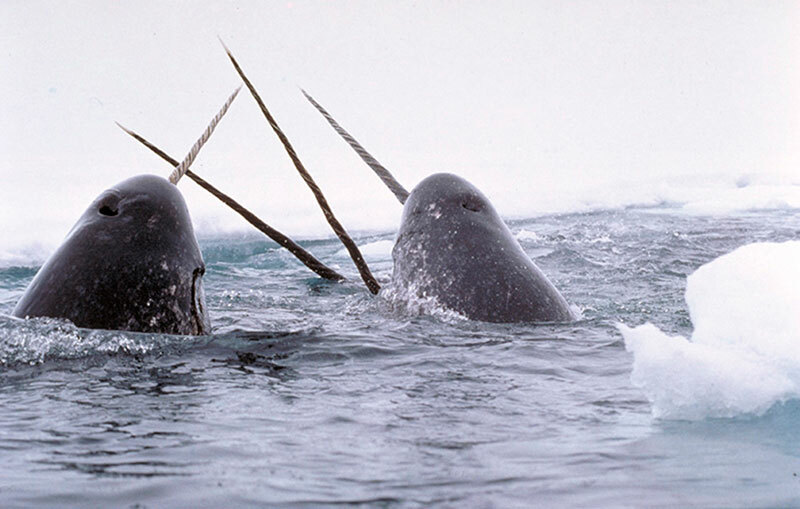 So nicknamed for the male’s single sword-like, spiral tusk, narwhal are often spotted swimming in small groups of one or two dozen. Relatives of bottlenose dolphins, belugas and orcas, narwhal are pale porpoises and incredibly distinctive in appearance. Revered in some cultures as mythical creatures, they are an important part of the Inuit diet. 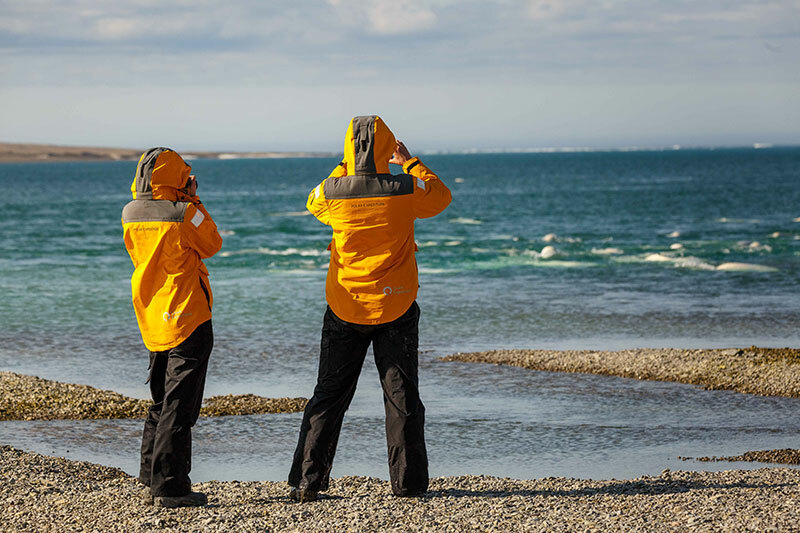 Arctic Watch Wilderness Lodge, our first land-based expedition, is also one of the best places on the planet to view beautiful white beluga whales, from just 7 meters (20 ft) from shore. Each summer, nearly 2,000 of these “white canaries” frolic and play at Cunningham Inlet just off Somerset Island. Standing onshore, you can hear their whistles and clicking as they communicate with one another. 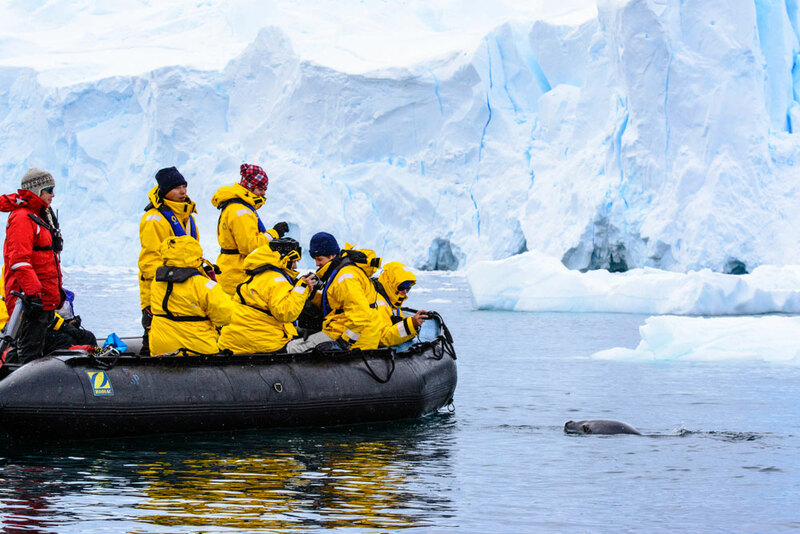 Contact an experienced Polar Travel Adviser to learn which polar holiday is the best fit for each of these brag-worthy arctic and Antarctic experiences.